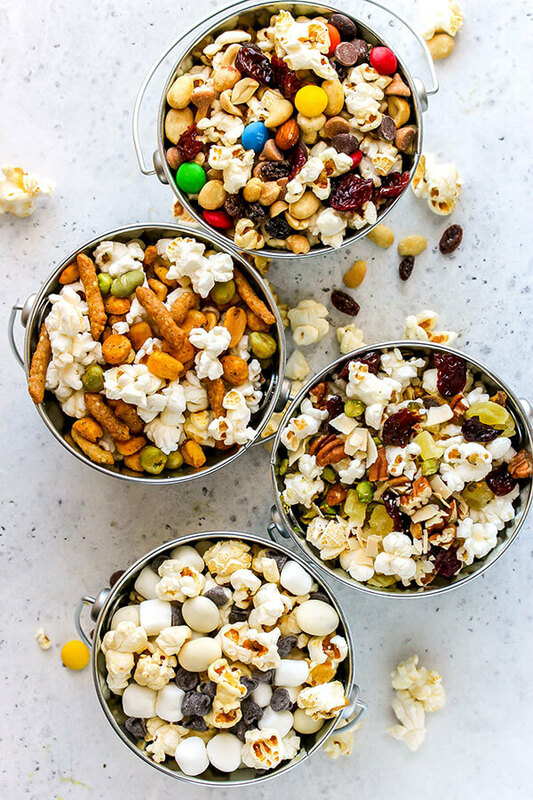 Set up a Gourmet Popcorn Bar with sweet, salty, and spicy stir-ins for an easy DIY appetizer, snack or dessert. Find your flavor combo ideas here! 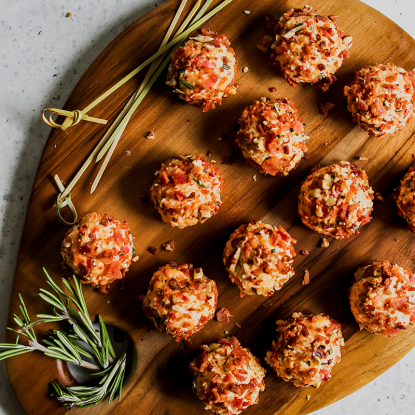 I often laugh that setting up “bars” whether it be a baked potato bar, shrimp and grits bar, taco/nacho bar, make your own pasta bar or whatever food you can think of that incorporates various ingredients is one of these easiest and most fun ways to entertain. I read once that food bars are “a playground for create food combinations” and I must say that I completely agree. 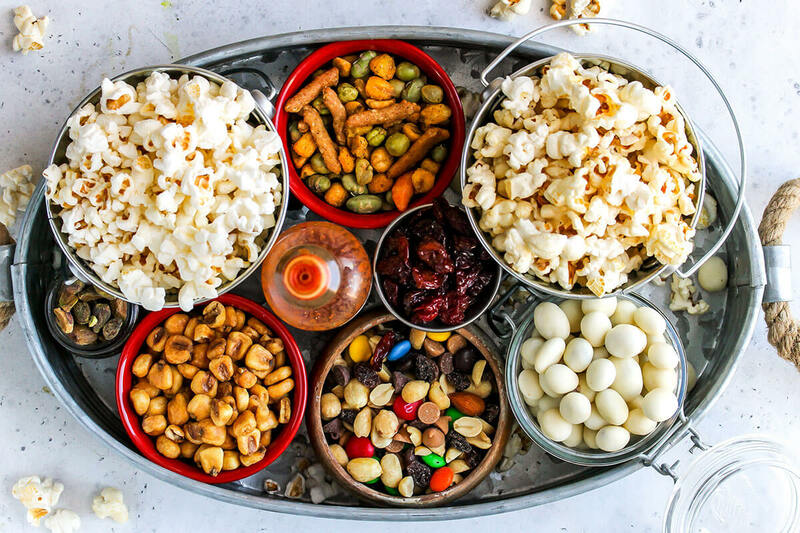 While it may take up more serving containers and a little extra food prep, food bars allow people to make their own choices as to what and how much of an ingredient they want to eat. Plus, it is an easy and affordable way to feed a crowd. 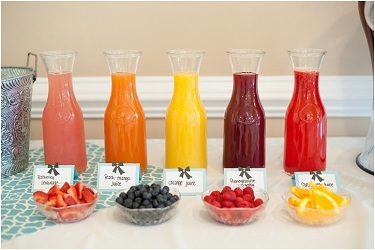 I think about all of the wedding receptions I attend now versus when I got married and there is always at least one “bar” set up. That’s why I love setting up a gourmet popcorn bar when entertaining and based on the ingredients I provide, it works well as an appetizer, snack or dessert. 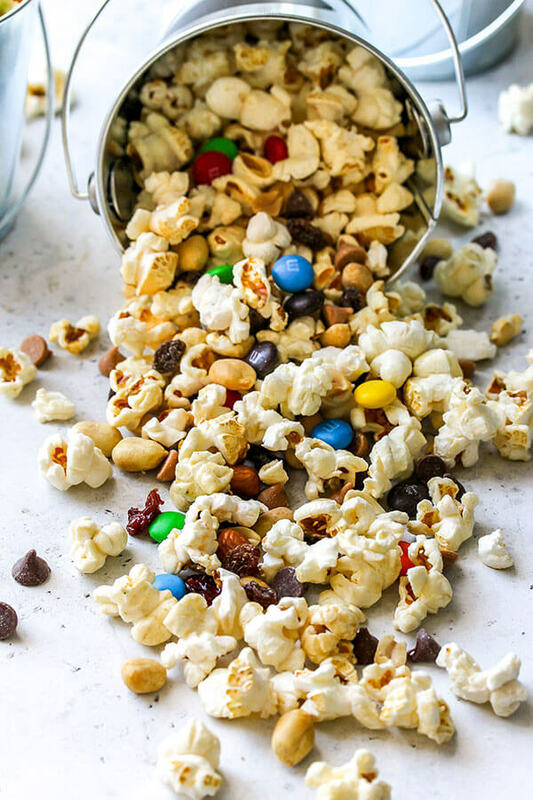 Aim for variety when selecting the ingredients for your popcorn bar. Since I only need a small amount of many ingredients, I like to hit the bulk bins at grocery stores like Sprouts or Whole Foods to only by as much as I need. My Dessert Crostini Bar is always a favorite and is a fun way to sample a variety of flavor combinations and (shhh!) let other people prep their own food! 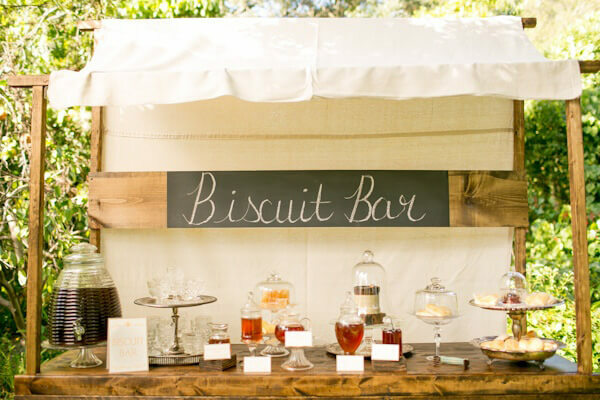 I ran across this collection of 15 Food Bars and Stations on Elizabeth Anne Designs and thought the ideas for each bar was not only inspirational from a food perspective but had a completely stunning set up. 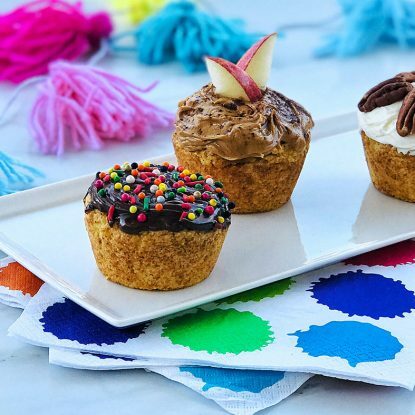 Check out these bar ideas including a pancake bar, biscuit bar, pressed juice bar and churro bar. 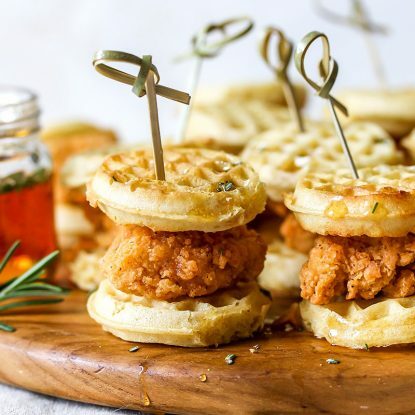 Meals.com also gather 10 Food Bar Ideas Made Easy with ideas such as a waffle bar, mimosa bar, mac and cheese bar and candy buffet.